Signatures have meant nothing to the greedy bosses at AVID, so now it’s time to hit them where it hurts – the only place these greedy fat cats have any nerve endings at all: their wallets! 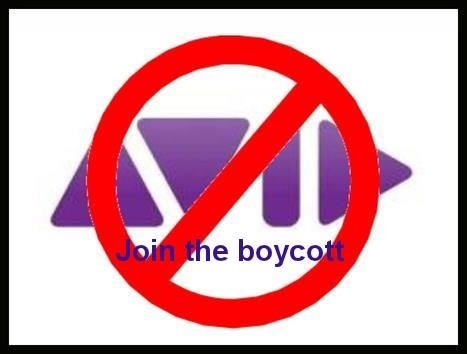 Boycott AVID! Here’s a place to go and be heard! I’m tired of everything nice in this world being corrupted and ruined by greed and the never ending quest for profit. Let’s rock this boat a little, shall we? This entry was posted in Connections, music, Sibelius software and tagged activism, AVID, corporate greed, Sibelius 7, sibelius music notation software. Bookmark the permalink.